Why not just finish the job and end sleeping sickness by eradicating the tsetse (pronounced TET-see) fly from the entire African continent? That’s the stated goal of the African Union’s Pan African Tsetse and Trypanosomiasis Eradication Campaign. But another new study, published in December in BioScience, calls for reexamining that approach. “The important ethical question remains: Is tsetse fly elimination morally appropriate?” entomologist Jérémy Bouyer and his co-authors write. The study lays out a protocol for properly considering a question that is less simple and more momentous than it seems at first glance, says Bouyer, who spent seven years in tsetse control in Senegal and now works on pest-control programs for the International Atomic Energy Agency (IAEA). The female rears one larva at a time in her abdomen and “lactates,” a little like a mammal, to feed it in utero. When she eventually evicts the larva, she has provisioned it with enough food to burrow underground, mature as a pupa and emerge as an adult fly a month or so later. These traits help demonstrate what conservationists call “intrinsic value”—meaning both the worth a species gives to its own life experience and also the worth of its evolutionary and ecological character as a unique species. 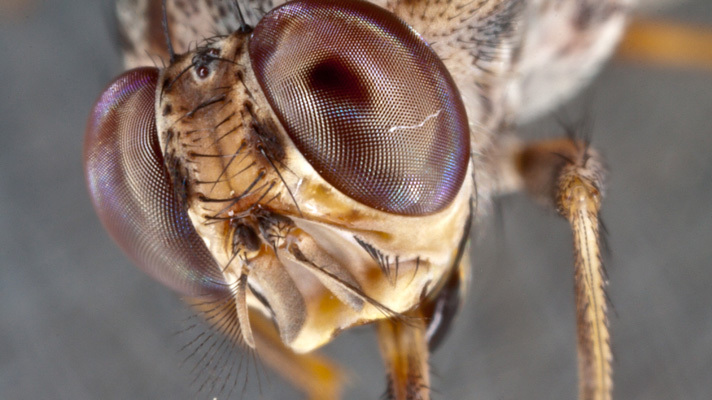 But making a case for intrinsic value proved elusive as the researchers were developing their protocol for thinking about tsetse fly eradication, says study co-author Neil Carter of Boise State University. It is easier to quantify “instrumental value”—the costs and benefits of a species for humans, other species, and ecosystems. On the one hand, for example, tsetse flies can be devastating for livestock as well as people; eliminating these insects on the island of Zanzibar made it possible for many more small farmers there to keep cattle, raising their income by 30 percent. On the other hand, getting rid of tsetse flies can lead to increased cattle encroachment into natural areas where they conflict with wildlife. After considering a long list of such pros and cons, the study concludes, “arguments predicated entirely on instrumental value do not provide compelling support for global tsetse fly eradication.” But the study says it is “morally justified” to identify areas where tsetse flies pose a threat, and then control or eliminate local populations. For the authors, the main point is that it’s important to think through the ethical and practical implications rather than simply acting on the initial impulse to eradicate a pest. For instance, Carter says, it might seem like common sense to eliminate leopards from a national park in the middle of Mumbai, India—which has grown up around the park into a city of 20 million people. But it turns out the leopards feed largely on the city’s thriving population of feral dogs. So losing the predators could dramatically increase incidence of dog bites and rabies. Glyn Vale, former director of Tsetse and Trypanosomiasis Control for Zimbabwe’s Department of Veterinary Services, says he welcomes the study’s stand against eradication. But he is also sharply critical of Bouyer’s employer, the IAEA, for heavily promoting the “sterile insect technique”—a method for disrupting insect reproduction by releasing large numbers of flies that have been sterilized by irradiation. That technique is far too expensive, he says, adding it is ineffective in tsetse flies and does more to boost the IAEA’s agenda of demonstrating peaceful uses of atomic energy than it does to improve the health of people in Africa. Bouyer says he began work on the study well before joining the IAEA, and the study is not about the sterile insect technique but about the ethics of eradication. “People have been trying to get rid of tsetse flies for 100 years, and they haven’t succeeded so far,” says Michael Barrett, a University of Glasgow trypanosomiasis expert who was not involved in the study. The biggest recent successes, he says, have come from “insecticide-impregnated tiny targets”—inexpensive handkerchief-size bits of blue fabric set out on sticks in areas infested by the tsetse fly. The flies are attracted to the color and pick up the insecticide on landing, resulting in “incredible decreases in the number of tsetse flies and the incidence of disease,” he notes. Barrett, who chaired the WHO’s 2018 working group to eliminate the disease, is also optimistic about an epidemiological technique that calculates how frequently the disease gets transmitted by tsetse fly bite from one person to another. Mathematical modeling of the infection rate makes it possible to estimate the reduction in tsetse fly numbers needed to bring transmission down to zero. It eliminates the disease, but not necessarily the flies themselves. Such developments could make the proposed eradication of tsetse flies seem not just impractical but also, in the not too distant future, irrelevant. This entry was posted on February 21, 2019 at 6:35 am	and is filed under Biodiversity, Conservation and Extinction. Tagged: sleeping sickness, trypanosomiasis, tsetse. You can follow any responses to this entry through the RSS 2.0 feed. You can leave a response, or trackback from your own site. To paraphrase Aldo Leopold, The first rule of tinkering is to not throw away any of the parts. Every time we meddle with nature, we almost inevitably create unintended consequences. But we are eradicating species every day without even thinking about it. It’s just a consequence of humans blithely using the planet’s resources beyond necessity.